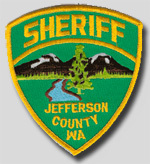 Jefferson County is named after Thomas Jefferson. As of 2017, the estimated population was 31,324. 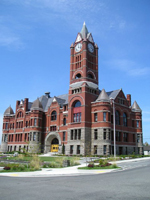 The county seat is at Port Townsend, which is also the county's only incorporated city. Territory created Clallam County from the northwestern 2,670 square miles portion of this original area. The Hood Canal Bridge connects Jefferson County to Kitsap County, Washington. 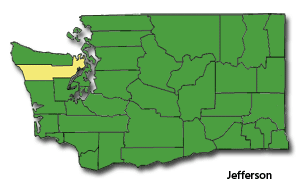 The Keystone-Port Townsend route of the Washington State Ferries connects the county to Whidbey Island in Island County, Washington. According to the U.S. Census Bureau, the county has a total area of 2,184 square miles of which, 1,814 square miles of it is land and 369 square miles of it is water. Population density is 16 per square mile.